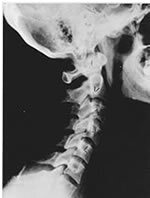 This is a side x-ray view of the neck. 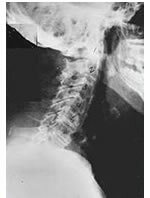 As with all the pictures you will see on this page, the patient is looking to the right of the screen, so you are viewing the right side of their neck. 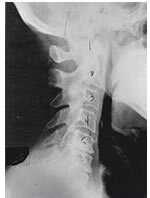 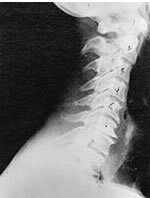 We will call this picture a “near normal” spine. 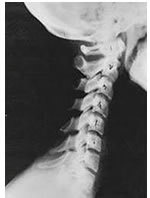 Compare this spine with the ones to the right.